National Facial Protection Month: How Can You Participate? April is National Facial Protection Month, meaning it’s time to keep your teeth safe with popular spring sports. More than 100,000 Americans get eye injuries in sports each year. That’s nothing compared to mouth injuries, which number in the millions. Alone, there are about 5 million teeth that are knocked out or broken in sports each year. Find out what the statistics are and how you can help yourself or a child protect their mouth this year during sports and exercise! Dentalcare reports that more than 5 million teeth are “avulsed” each year in contact sports. This is a fancy term meaning that more than 5 million teeth are knocked out or broken. So many dental injuries happen in sports, that the Journal of the American Dental Association reported that 13-39% of dental injuries each year are sports-related. The sad part? Most of those injuries are happening to children. The National Youth Sports Foundation found that dental injuries are actually the most common type of orofacial injury during sports. This is in part because many sports involve balls that are kicked or thrown, which can come in direct contact with the face. As many players face the ball, they are likely to get hit there instead of in the back of the head. This can break or knock a tooth out on contact, as can collisions with other players. Because spring sports are in full swing, you want to make sure you follow the recommendations experts give to help your child or teen (or even you) avoid dental injuries. 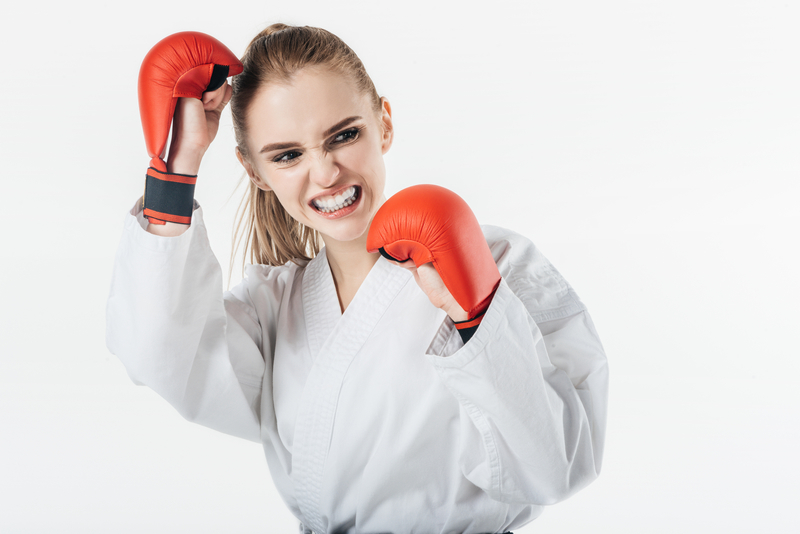 The most common dental injuries that happen in contact sports—especially in young children—are tooth fractures, knocked-out teeth or a tooth avulsion. The latter is also known as a tooth intrusion. Depending on how a child is hit, a tooth could be driven back into the jawbone. With children, the jaw bones are softer, which is how this can happen. The tooth and it’s pulpy center could die or the tooth roots may be reabsorbed by the body, which shortens your tooth. Without quick help, the tooth can also fuse to the alveolar bone in the jaw. This is a common sports injury in young children. Sounds bad, right? It can be if you don’t have the right facial protection, which is why April is named both Sports Safety Month and National Facial Protection Month. 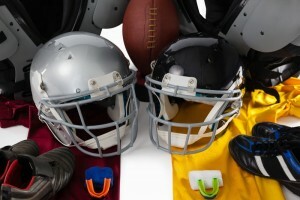 The goal is to have an emphasis both on facial protection and being safe with sports. You can do both with physical protection through mouth guards and sports gear for the face, but also with good oral health and oral hygiene at home. If your teeth are strong, they are much less likely to break under pressure or if you get hit. Your best chance of having strong teeth is making sure you have a nutritious diet that is low on sugar and acidic foods. When you eat, sugars mix with mouth bacteria and produce a substance called plaque. Plaque is acidic and sticky, so it sticks to your teeth along the gum line when you eat and drink. Over time, the acidic plaque breaks up minerals in your teeth, decaying the tooth enamel to cause cavities and gum disease. Avoid that plaque creation but eating sugar sparingly. The more sugar you eat, the more plaque you create and the weaker your teeth can become. You also want to watch out for acidic drinks. Those will include anything fizzy such as sparkling water and sodas. The fizziness comes from carbonic acid and because it’s an acid, it will weaken and erode your teeth. Always check food labels to see if your drink has this acid in it or citric acid, which is a preservative found in drinks such as sports drinks, juices, and anything with flavor. Brush your teeth twice a day for at least two minutes at a time. Floss 1-2 times a day, making sure you floss all the way up into your gum line and that you scrape your teeth as you go. Use mouthwash to kill mouth bacteria that would create plaque. Invest in dental sealants if your teeth are prone to decay or weakening. Use fluoride products, which can help keep your teeth strong. See a dentist for regular visits and especially for dental emergencies in sports. Dental emergencies are oral injuries that need immediate attention or the tooth or gum area will be permanently damaged or lost. A dental emergency includes injuries such as broken, cracked or fractured teeth, a knocked-out tooth, a tooth intrusion, a bit or cut lip, cheek, tongue or gum, oral bleeding that won’t stop, and dental emergencies with braces. Avoid these types of injuries with proper facial protection, even if you think your child is too young to need it. It’s always better to err on the safe side than to have a young one lose a tooth. 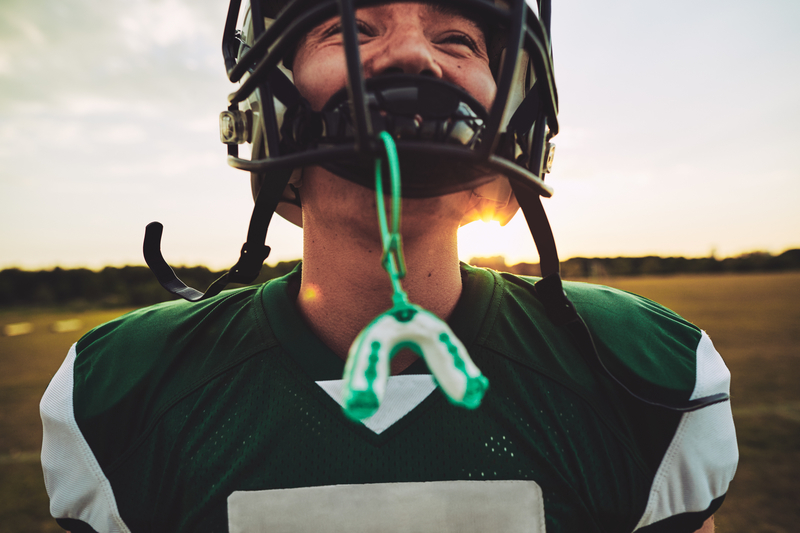 Did you know that an athlete is 60 times more likely to sustain a dental injury if they don’t have any facial protection, especially through a mouth guard? That’s why it’s critical to protect your mouth with a mouth guard if you participate in contact sports or any sport involving other players. 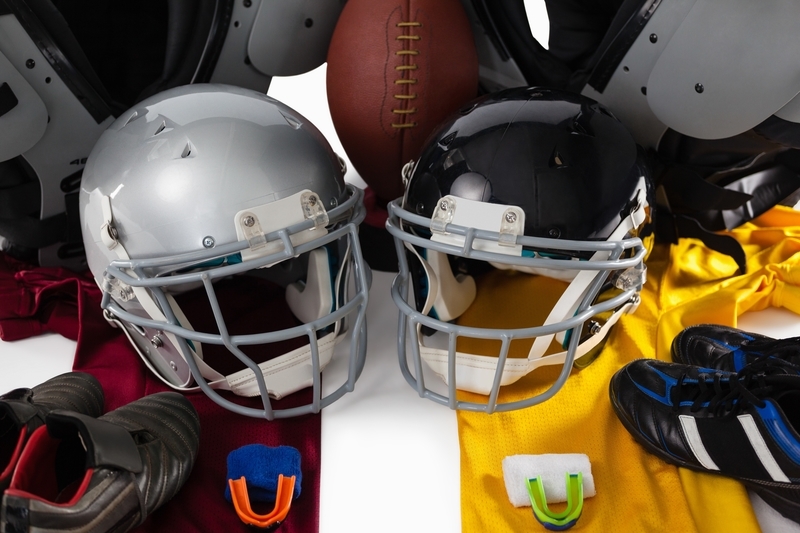 If you have a child in sports, make sure they have a protective mouth guard even if it’s not a requirement to play. That mouth guard should be one that is fitted to the child’s mouth by a dentist. 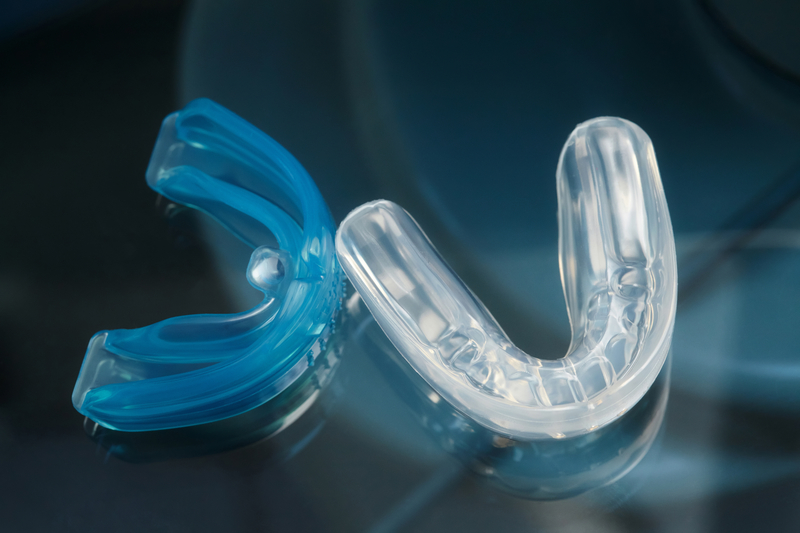 We custom-made mouth guards for spring sports and all year long. Because they are custom-made, they can fit snug no matter the age or size of the patient. If you want the right facial protection this year, call Dr. Evanson’s office for your free consultation at (720) 409-0008 and ask about our other tips for proper facial protection!